Lost or stolen keys? Worry no more. 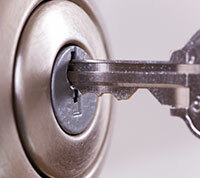 Our locksmiths have solutions to your problems. For more information about services and more, scroll down. Can I fix the lock myself? Lock mechanisms are often sensitive. If you don't know how to handle them, it's best to leave lock repair to our specialists. After all, your door locks must ensure your security and if they're not fixed right or are ruined during repairs, security will be compromised. Why doesn't the door close properly? The door will close properly when there are no obstacles near or around it and it is adjusted. Check the seals and hinges. If it doesn't close well, it won't lock either. The bolt of your door locks must enter the hole of the strike plate with precision in order to secure the door. What type of locks should I get? Your choice should depend on your needs and expectations. You could get conventional security locks or try biometric and electric keyless door locks, too. See what makes you feel more comfortable and provides the extra security you require. In either case, verify they are of excellent quality, practical, durable, and are first grade locks certified by ANSI. What causes a lock to get sticky? Usually, people experience problems with turning the key when the lock is dry. Lubrication is the primary troubleshooting step to take. A bent key blade could also be responsible for the problem. In this case, the key should be fixed or replaced timely to prevent it from snapping inside the lock. Another possible cause is damage to the lock cylinder. In this case, the malfunctioning component should be replaced.